There are times when supplements from a reputable source can help to keep you in top form and prevent illness. They also play a role in slowing down the aging process. Although you should find most of the nutrients you needs in the food you eat, there are times when, for a variety of reasons, your body needs some extra help. The term “Antioxidant” refers to organic substances that are believed to destroy harmful free radicals inside the human body. Thee free radicals are one of the main causes of aging as they can damage cells which over time may lead to diseases. 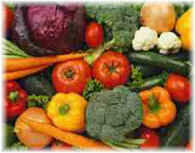 Antioxidants are found in many orange and red fruits and vegetables. It is the carotenoids, the pigment compounds, which give these foods their vibrant colours that are believed to help prevent cancer, heart disease, stroke and many other ailments that are connected with again. Beta-carotene is one of the best-known carotenoid. Vitamins A, C, E, and the mineral selenium are also efficient at eliminating free radicals from the body. Of course the body produces a number of natural antioxidant enzymes. Some of these are available in tablet or powder form, but these may have little or no effect unless combined with other components that the body needs to make these enzymes more effective. Coenzyme Q10, and cysteine (an amino acid) lutein, lycopene, and Vitamins B2, C and E are anti-oxidants in their own right. Herbs, including bilberry, curcuma also known as tumeric, ginkgo, grape seed, turmeric (curcuma), milk thistle and green tea also contain powerful antioxidants. 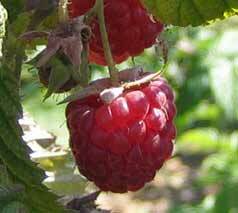 • Polyphenols (tannins and flavonoids in particular): Fruit and vegetables, wine, tea. If you find it hard to eat a varied diet containing all the elements you need to keep in top condition, or if you are suffering from a deficiency or have difficulties absorbing certain vitamins, you may need to supplement your diet with food supplements or vitamins and minerals from a reliable source.Ask your doctor for advice. Before you embark on a course of supplements, you should get as much knowledge as you can about them, and how they could interact with medication you are already taking. While there exists a wide variety of dietary products and herbal treatments which deliver what they promise, it is always wise to research any of them before you start a treatment and to discuss your intentions with your doctor. This will prevent you from spending your hard-earned cash on substances, which do not deliver, or worse still, which will have a negative effect on your health or interact negatively with your doctor prescribed drugs. In many countries now, the medical profession and government have made it compulsory for manufacturers of supplements to label products with data on adverse effects, counter-indications and possible drug interactions, just as doctor prescribed drugs are required to do. While this warning should not be taken lightly, this does not mean that natural products and health supplements cannot play a big part in warding off age related problems and improving your overall health and fitness.